Today I’m finishing my favorite reads from 2016 with the second half of the year. If you missed the post on my favorite books from the first half of the year, you can read them here. In July I read six books, five fiction and one non. My favorite from this month was The Prince of Risk by a new to me author, Christopher Reich. This book involves the world of finance and was a bit hard to follow for my non-math brain, but it was suspenseful and very good. This month I read five books, all fiction. 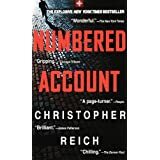 Numbered Account by Christopher Reich was a favorite this month, even though as I mentioned earlier, I am not into math or numbers a whole lot. But this guy can write suspenseful books, and I like them. 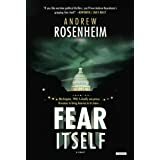 Another favorite this month was Andrew Rosenehiem’s Fear Itself, a late ’30s mystery. This month I read five titles, all fiction. We started up school again, so my reading time reduced somewhat. 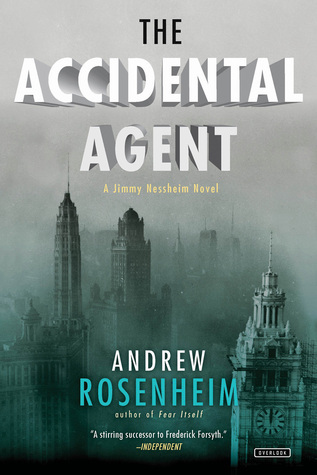 My favorite this month was The Accidental Agent by Andrew Rosenheim, the third Jimmy Nessheim FBI story, involves Jimmy looking for a Nazi spy possibly working on the atomic bomb in Chicago, known as the Manhattan Project. Jimmy has moved from LA to Chicago to attend law school as he has resigned from the FBI. Until his former boss asked him to check into the Nazi spy anyway, since he was ‘on the spot’ so to speak. I like this series and hope there are more of them, since Jimmy said at the end, he would return to the FBI. This month I managed to read six books, all fiction. 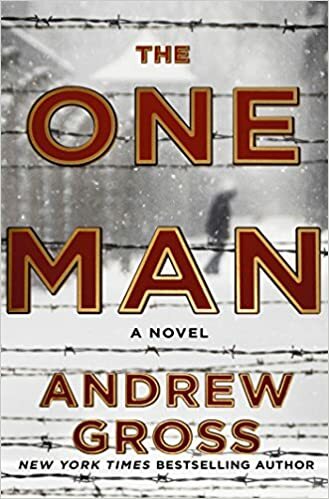 Hands down, my favorite was The One Man by Andrew Gross. This story involved a young man sneaking into a German death camp to pull out a physicist who had knowledge that could change the course of the war. The training he went through and the emotions involved, and of course the atrocities of the death camps were realistic and spot on. An excellent and suspenseful read. 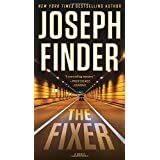 My favorite this month of the eight books read was definitely Joseph Finder’s The Fixer. Rick Hoffman works as a investigative journalist but after losing his job, moves back to the dump of a family home. When he starts renovating the house, he finds an incredible boatload of cash in stacks behind one wall. Who’s is it and where did it come from? He naturally begins investigating, but it may the most dangerous story he’s ever worked on. In December I read seven books, all fiction and all Christmas related except one. 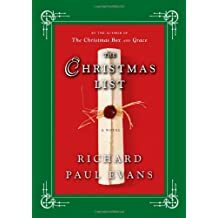 My favorite was The Christmas List by Richard Paul Evans. This book had all the elements of a good Christmas story, plot, characters, a feel good ending. Did you have favorite reads from last year? Thanks for sharing your favourite reads. Some of these authors are new to me. I will have to add them to my ever-growing To Read list! I know! So. Many. Books. So. Little. Time. I hope you find some new authors you like. Thank you, Michelle! I made a to-read list from your reviews and will peck away at it. Thankful for your diligence and the reading adventures ahead! Thank you, Lisa! I’m always reading something. Good to hear from you!